In the words of respected researcher Brian Solis, ‘Gen C is always ‘on”. For a generation that’s used to scrolling Facebook while watching a TV programme or checking email while up a mountain, on a beach or on the way to the office, 24/7 connectivity has become an essential component of modern life – as important as oxygen in the air or food in the fridge. It’s no surprise therefore that travellers place such a high value on being able to connect with the rest of the world. Just look back at this year’s TripAdvisor Barometer and consider the importance that travellers place on getting free Wi-fi at their hotel or hostel, and how many travellers say that they travel with their smartphone in their hand. As I reflect on one intense year of travel (14 countries in 2014) and opened me eyes to the fact that it really is possible (even preferable) to work on a train, on a plane, in a beach café or a 17th century library, as long as all of these have a good Wi-fi connection (which they all did). In short, I realise that my lifestyle has become more dependent than ever on remaining connected. In years past, while working in an office, I always maintained that as long as I was able to opt-out, I didn’t want to receive my work emails on my phone. Ha! Now, with clients and partners on opposite sides of the world who often need answers in a matter of minutes, that’s no longer an option. 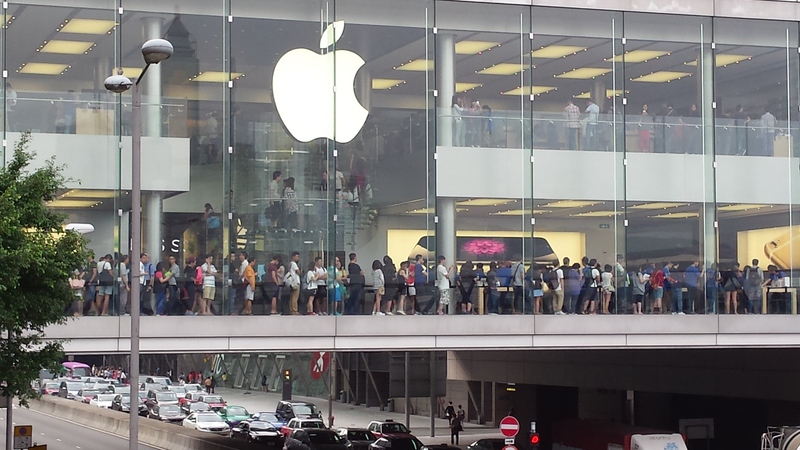 Added to that, the fact that I tend to share more photos on Facebook and Twitter when I travel, I acknowledge that I truly am part of the connected generation (though perhaps not living quite as slavishly as these folks I snapped, in the photo above, queuing at Hong Kong Central’s Apple store just 10 days ago). He explained to me that it was more of a pet project than anything, and after he’d posted it, he didn’t think anything more of it, until friends started to notice that it had rapidly gone viral. Today it has received nearly 48 million views on YouTube and has brought attention to Gary’s fine work from around the world. How close are we to saturation point of smartphone use in public spaces? Do smartphones really help to enhance intense travel experiences or dampen them? What do tourists take photos for? In which places will the practice become anti-social or dangerous? How can activity providers balance young people’s need to enjoy an activity (such as surf lessons or language classes) while maintain (or feed their addiction) to remain connected? As we discussed at ATYC in Sydney this year, this is something that Australian adventure sports operators are already starting to grapple with. I think the travel industry will find itself having to help shape the boundaries to smartphone use, while encouraging their use as part of sharing the travel experience; a very fine balancing act to perform!